A Phi Beta Kappa graduate of Coe College in Cedar Rapids, Iowa, Dr. Clark earned an MD from the University of Wisconsin and an MBA with Additional Certification in Health Sector Management from the Fuqua School of Business at Duke University. She completed a psychiatric residency at the University of Wisconsin Milwaukee Campus and the Medical College of Wisconsin in Milwaukee. Dr. Clark is a Fellow of the American Society of Addiction Medicine, where she serves as a Director, and is a Distinguished Fellow of the American Psychiatric Association. Dr. Clark is President-Elect of ASAM. 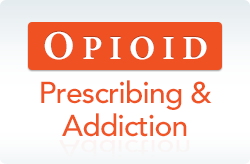 Representing over 3800 physicians specializing in Addiction Medicine and over 150 associated professionals, ASAM is the largest group of physicians and allied health professions specializing in treating addictive diseases. Board certified in addiction medicine and psychiatry, she has focused her career on issues of prescription drug abuse, evidence-informed behavioral health care, and payment reform. CleanSlate Centers is a multi-state medical group currently treating over 5,500 opioid addicted patients with medication management that has received a SAMHSA Science to Service Award for Office Based Opioid Treatment. She is currently a member of the American Psychiatric Association’s Integrated Care Work Group; the National Rx Drug Abuse Summit Advisory Board; and the faculty of the Virginia Tech Carilion School of Medicine. Dr. Lofwall completed residency training in Psychiatry and a clinical research fellowship in behavioral pharmacology at Johns Hopkins University. She has an outpatient office-based opioid addiction treatment practice and is actively engaged in teaching and clinical research, investigating medication diversion and opioid use disorder treatments. Dr. Lofwall is the immediate past President of the Kentucky Chapter of the American Society of Addiction Medicine and Associate Editor of the American Academy of Addiction Psychiatry newsletter, recipient of several medical student teaching and mentorship awards, and a member of the Kentucky Governor’s State Prescription Drug Monitoring Program Advisory Council.